Owls are unique and fascinating raptors, but identifying them can be a challenge. Since most owls are primarily nocturnal and elusive, birders must be able to note identification characteristics quickly and accurately to identify the owls they see. The right equipment is essential for owl identification. While the tools necessary to see owls are part of every birder's field gear, there are certain types of equipment that are more helpful when specifically trying to identify owls. Optics: Birding binoculars with a large aperture to permit the most light into the lens are the best choice for identifying owls. This will allow a bird's details to be seen more clearly even in the dusky or twilight conditions when owls are most likely to be spotted. Field Guide: Most field guides include a section of common owls with other raptors, but it is important to have a guide that includes both perched and flight photos or illustrations for accurate comparison. Owls have unique postures and body shapes, and a good field guide will note the exact characteristics to check when identifying owls. Recordings: Owls are more frequently heard than seen, and birders who are familiar with birding by ear may have a better chance of identifying owls by their sounds than by their appearance. Using a recording of typical owl songs and calls to become familiar with owl sounds is a great way to be confident in owl identifications, and recordings can also be used sparingly in the field to attempt to attract birds. An owl's upright posture and forward-facing eyes are instantly recognizable characteristics that help classify the bird, but determining the exact owl species requires more careful observation of subtle markings, shapes, and colors. To identify owls, look for several traits at once. Size: Is the owl large or small? How does its size compare to nearby leaves, branches, posts, or other objects? Eyes: What color are the bird's eyes? How widely spaced are they in the face? What colors and markings surround the eyes? Facial Disk: How wide is the owl's facial disk? Is it a horizontal oval, vertical oval, circle, or heart shape? What colors and patterns are part of the disk? Bill: What color is the bird's bill? Is it just barely visible in the face or is it more prominent? Plumage: What color is the bird's overall plumage? Is it spotted, streaked, or barred? Are markings horizontal, vertical, or mottled? Are there any distinct patterns? Ears: Does the owl have ear tufts on its head? How large are the tufts? Are they centered on the head or off to the sides? Tail: How long is the bird's tail? Is it rounded or squared? Are there any stripes, bars, or other markings on the tail? Legs: What color are the bird's legs? How long are the legs? Are they heavily or lightly feathered? By knowing what to look for when an owl is spotted, birders can identify the bird more quickly, easily, and accurately. While getting a good view of an owl is the most promising way to identify the bird correctly, these are elusive birds that rarely grant birders uninterrupted, pristine views. By studying other field characteristics, however, birders can learn to identify owls even if the bird isn't clearly visible. Sounds: Owls have a range of different sounds, songs, and calls, from classic hoots to whistles, growls, screeches, and barks. 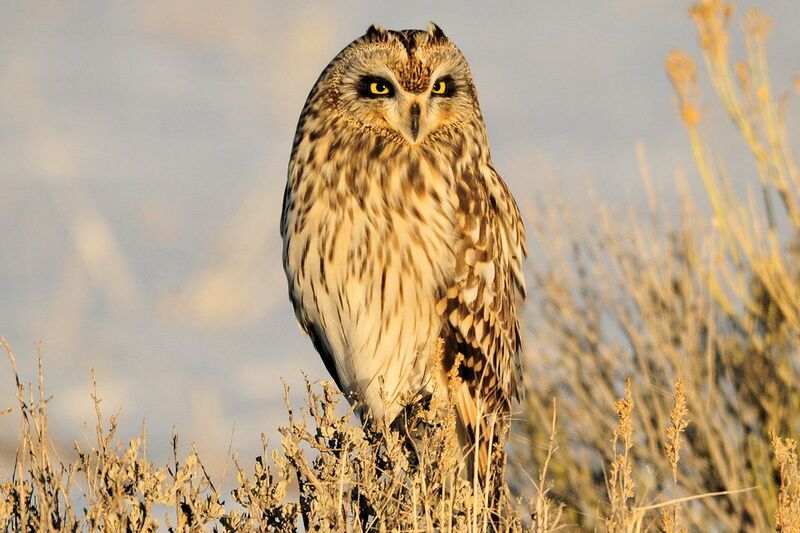 Learning the birds' unique calls and listening for duration, pitch, and tempo will help birders identify owls correctly. Range: Owls that look similar may have very different ranges and habitat preferences. Before owling in a specific area, birders should familiarize themselves with common regional owls so they don't confuse unlikely species. Activity Times: Most owls are nocturnal and are only highly active at night or in dark periods such as twilight, but a few species are regularly active during the day as well. Knowing which diurnal owls are nearby can help make identification easier. Prey: Owls will feed on a number of different mammals, birds, and invertebrates, but not all owls will take the same food. Birders who see an owl hunt may be able to puzzle out its identity by the type and size of prey it pursues. Identifying owls takes both patience and practice, but it is infinitely rewarding when a birder is able to easily identify an owl in the field. With the right tools and a knowledge of what to look for, owling can open a birder's eyes to these wonderful raptors. What Makes an Owl Special?